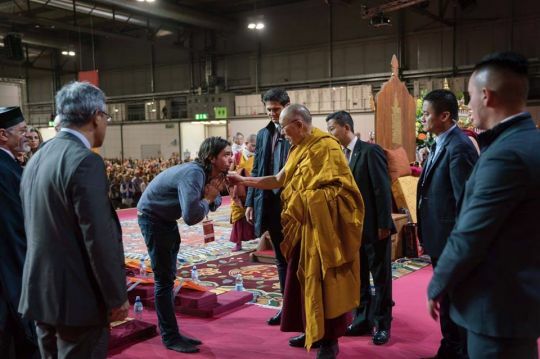 Osel greeting His Holiness the Dalai Lama in Milan, October 2016. Photo by Tenzin Choejor. Lama Zopa Rinpoche with Osel in Bodhgaya, January 2017. Lama Thubten Yeshe was born in Tibet in 1935. At the age of six, he entered Sera Monastic University in Tibet where he studied until 1959, when as Lama Yeshe himself has said, “In that year the Chinese kindly told us that it was time to leave Tibet and meet the outside world.” Lama Thubten Yeshe and Lama Thubten Zopa Rinpoche met their first Western students in 1965. By 1971 they settled at Kopan, a small hamlet near Kathmandu in Nepal. In 1974, the Lamas began touring and teaching in the West, which would eventually result in The Foundation for the Preservation of the Mahayana Tradition. Lama Yeshe passed away in 1984. 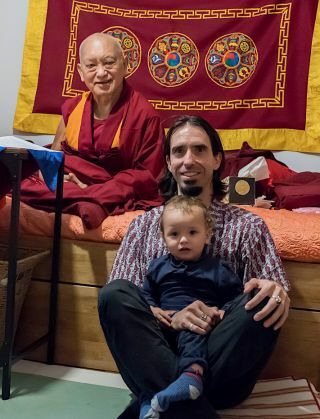 In 1986, when Ösel was just over one year old, His Holiness the Dalai Lama confirmed Lama Zopa Rinpoche’s observations that Ösel, son of Lama Yeshe’s students, María Torres and Francisco Hita, was the unmistaken reincarnation of FPMT’s founder, Lama Yeshe. Ösel was enthroned in March 1987 at Tushita Retreat Center in Dharamsala, India. 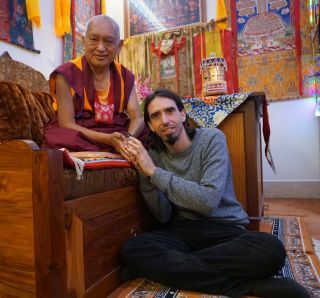 In 1991, at the age of seven, Ösel began his monastic education at Sera Je Monastery in southern India where he simultaneously received private tutoring in Western subjects. He continued his studies there until 2003, when he relocated to Victoria, British Columbia, to engage in a traditional Western education. Tenzin Ösel Hita giving a spontaneous speech requesting Lama Zopa Rinpoche to have a long life, at a long life puja offered to Rinpoche at the Tara Temple, Bodhgaya, India, January 2017. Photo by Paolo Regis. From 2004 to 2010, Ösel pursued many creative interests while living around Europe, including a Master’s Degree in documentary film-making and completing two cooking courses. Additionally, he blossomed as a musician during this time. 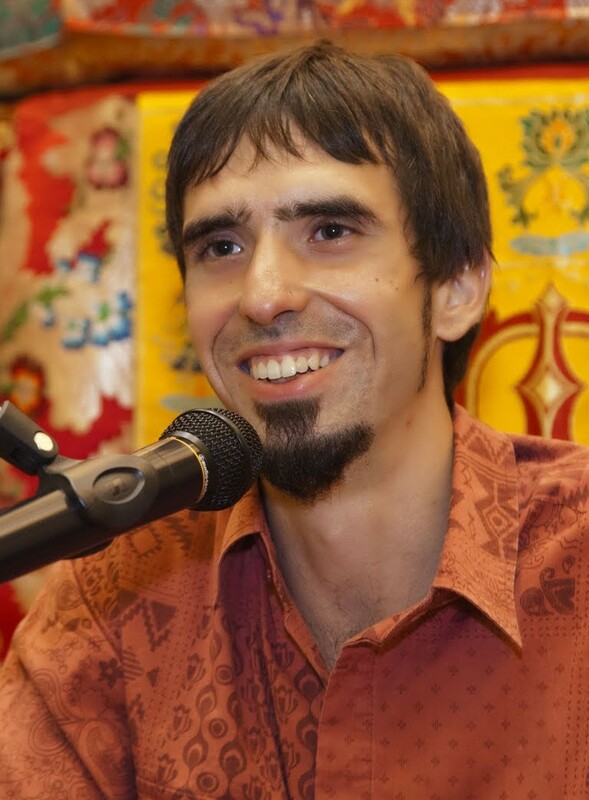 In May 2010, Ösel was on the FPMT board of directors and attended his first meeting in Portland, Oregon, USA. When possible Osel spends time at various FPMT centers offering talks. Ösel led pilgrimage in India and Nepal in 2015 and organized a charitable organization to help provide relief and rebuild Nepal following the April 2015 earthquake. While leading the 2015 pilgrimage in India and Nepal, the group visited Tushita Meditation Centre and Ösel was kind enough to give a talk about his life, his experiences, and some lessons he has learned along his path. 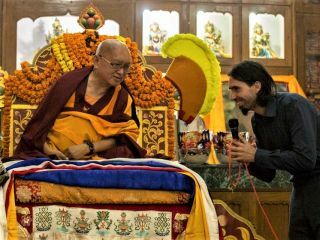 In 2017 Ösel toured European FPMT centers, giving talks to hundreds of eager students. On September 15, Ösel and his partner Indila Dora welcomed their son Tenzin Norbu into the world. 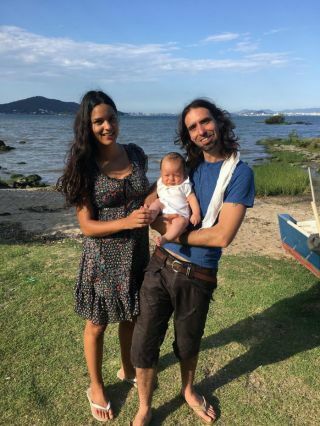 Ösel and his family live in Brazil. Ösel at Amitabha Buddhist Center in Singapore Nov 2012. Photo by Tan Seow Kheng and Stephen Ching.